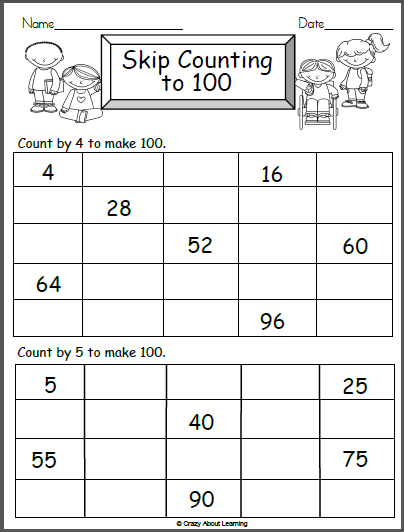 Free Valentine’s Day math worksheet. 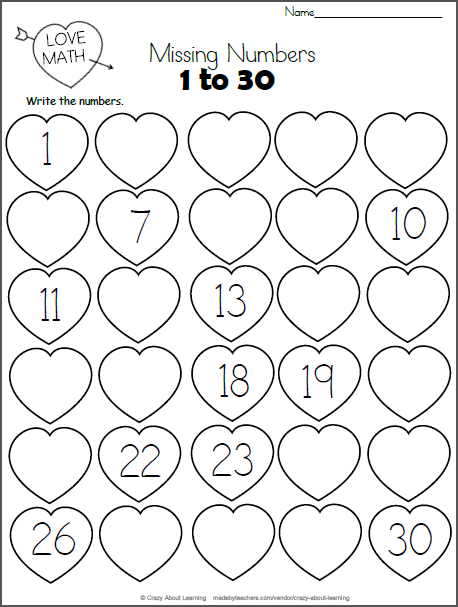 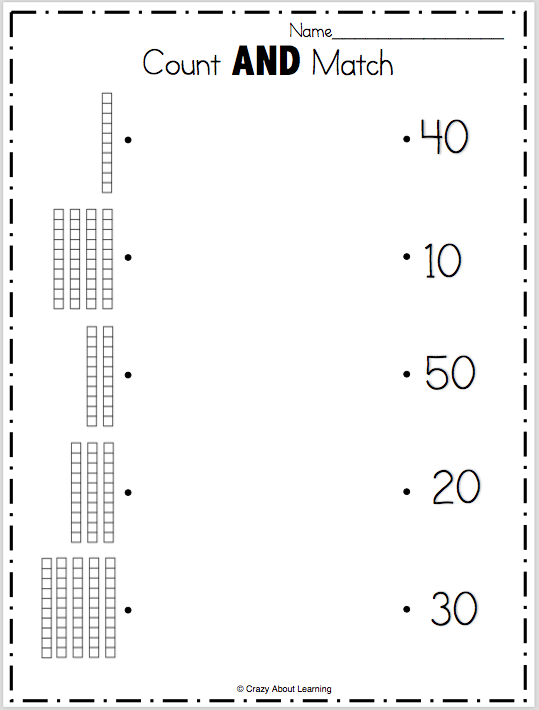 Write the missing numbers from 1 to 30 on the hearts. 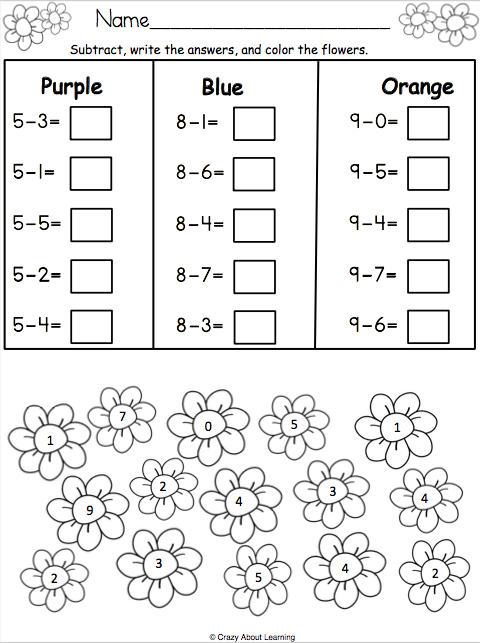 This worksheet is a perfect Valentine number practice printable for preschool and kindergarten students who are still learning their numbers.